Bitcoin Regulation Under Discussion - New York City's financial regulator has called for firms to enter propositions in order to create exchanges for digital cryptocurrencies such as Bitcoin. Men's Wearhouse & Jos. A. Bank Merger Being Discussed - A little after Jos. A. Bank Clothiers' offer of $2.3 billion to acquire Men's Wearhouse was rejected, Men's Wearhouse employed what is known as the Pac-Man defense by offering $1.5 billion to purchase Jos. A. Bank Clothiers. Indian Retailer Myntra Forms Two International Partnerships - Online shopping merchant Myntra has formed partnerships with brands Raised on Denim and HRX. The partnerships are an attempt to reach larger demographics and diversify product selection. San Jose Files Business Law Violation Lawsuit Against MLB - Major League Baseball is facing a federal lawsuit over business law violations. The suit was filed by the City of San Jose, CA, which is challenging the Supreme Court’s 1922 decision to allow the MLB monopoly over the business aspects of professional baseball. Federal Lawsuit Charges HearUSA Fiduciary With Business Law Violations - HearUSA Fiduciary Joe Luzinksi is facing a federal lawsuit filed by former shareholders that accuses him of business law violations. State of Florida Sues BP for $5.4 Billion - Florida Attorney General Pam Bondi has filed a lawsuit against BP citing federal business law violations under the Oil Pollution Act. Bank of America’s $2.43 Business law Violation Settlement Approved - Last September, Bank of America Corp. had agreed to a $2.43 billion settlement in a class action lawsuit filed by investors alleging Bank of America of committing business law violations regarding the acquisition of Merrill Lynch. AIG Business Law Dispute With U.S. Gets Class Action Status - Back in Nov 2011, Starr International Co. had filed a $25 billion lawsuit against the U.S. over a business law dispute related to the federal bailout and take-over of American International Group Inc (NYSE:AIG). U.S. Settles Business Law Violation Lawsuit Against Macmillan - Book publisher Macmillan, accused of business law violations associated with price rigging of eBooks, has entered into a settlement deal with the U.S. Department of Justice. Wynn Resorts-Okada Business Law Dispute Hinges on NV Statute of Limitations - The business law dispute between Wynn Resorts Ltd. and one of its own board members Kazuo Okada hinges on when certain actions took place, since Nevada’s three year statute of limitations for legal action precludes lawsuits for actions taken before that period. Former Partner Files Business Law Violation Lawsuit Against Pinterest Investor Brian Cohen - Pinterest and one of its investors Brian Cohen are being sued for business law violations by Theodore Schroeder, one of Cohen’s former partners in another venture. Imperial Holdings Agrees to $12M Settlement for Business Law Violations - Boca Raton, Florida-based Imperial Holdings has agreed to a $12 million settlement in a business law violation class action lawsuit filed by its own shareholders. US Government Sues eBay for Business Law Violations - The U.S. Department of Justice has filed a federal lawsuit against eBay for alleged business law violations caused by the online marketplace giant’s anticompetitive agreement with Intuit, Inc.
DOJ Federal Lawsuit Accuses Countrywide of Mortgage Business Law Violations - The U.S. Department of Justice filed a $1 billion mortgage business law violation lawsuit against Bank of America in the federal court in Manhattan. Business Leaders and the Beverage Industry File Lawsuit Regarding Soda Ban - Trade associations and unions filed a claim to block Mayor Bloomberg’s plan to ban the sale of large-sized sugary sodas at restaurants and other establishments. Citigroup Agrees to $590M Business Law Violation Settlement - Citigroup Inc. has agreed to pay $590 million in a business law violation settlement with shareholders who claimed that Citi had hidden billions of dollars worth of toxic mortgage assets during the financial sector meltdown that followed the subprime mortgage crash. Ace Hardware Facing Class-Action Lawsuit Over Franchise Business Law Violations - A case filed against national chain Ace Hardware in Springfield, Virginia could be the trigger for a class-action business law violation lawsuit. Arkansas Farmers Use Business Law to File Suit Against Seed Supplier - Alvin, TX-based Ricetec Inc. found itself at the wrong end of business law violation claims because it went after one farmer for non-payment. Cheeburger Case Highlights Business Law and Restaurant Liability - Joseph and Kathyn Bennett's deaths last September were tragic and completely avoidable. Lawsuit Focuses on Previous Owner of Troubled Business - The bankruptcy trustee for an Ohio financial company has pressed charges against its former owner, claiming he should have realized the Indianapolis businessmen to whom he sold it were raiding the business. Antitrust Claim Dismissed - New York state is dropping its federal antitrust claim against computer chip corportation Intel Corp.
Ravenswood Business Facing Federal Lawsuit - A Ravenswood company is debating in a recently filed federal lawsuit that it does not have to compensate a former Arizona worker severance benefits due to the misconduct that was apparent from the use of a Smart Pen in one of the business's meetings. Groupon Inc. Faces Lawsuit From Merchant - Groupon Inc., the leading Internet daily bargain website, was alleged in a lawsuit of modifying e-mails of contracts with merchants after both sides had accepted the conditions. Money is a Big Issue for Small Business Owners - A report released last year by the Ewing Marion Kauffman Foundation stated that new businesses add approximately three million workers each year, while older businesses lose approximately one million annually. Companies Increase Their Investment Spending - Companies throughout the country increased their investment spending in August despite the turmoil caused by hostile political conflicts in Washington, and some financial experts projected their predictions for financial growth this quarter. Google To Implement New Social Network in Business Circles - Google will introduce a corporate form of its new social network Google+ within the next year. Do you have questions or concerns regarding involving aspects of running your business? 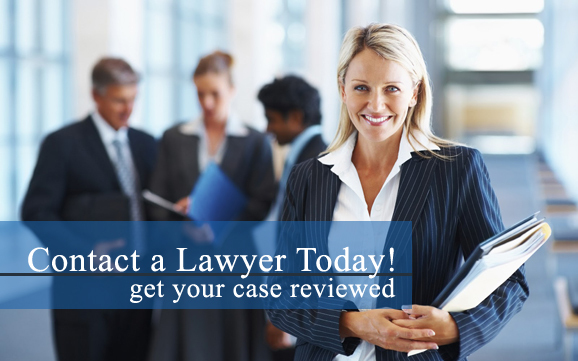 If so, contact a business attorney in your area to discuss your legal options today.